Josh Blackmon received a MA in history from Arizona State University and a BA in anthropology from Georgia State University. He is currently a historian for New South Associates, Inc in Stone Mountain, Georgia and serves as the Board Chairman for the Modern Heritage Foundation. Josh is interested in the application of technology in historic preservation both in the field and laboratory. Josh has worked on archaeological sites in the southeastern, southwestern, and mid-Atlantic regions of the United States as well as the Caribbean ranging from Paleo-Indian to Historic Period. 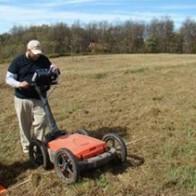 He is an instructor with Advanced Metal Detecting for the Archaeologist and has ten years of metal-detector survey experience on a variety of historic sites including Colonial, Revolutionary War, and Civil War period sites as well as historic farmstead and industrial sites. Chris Espenshade, MA and RPA, is professional archaeologist with more than 27 years of supervisory experience. He holds an MA in anthropology from the University of Florida and a BA in anthropology from Wake Forest University. Chris is Regional Director in the Jackson, Michigan, office of Commonwealth Cultural Resources Group. 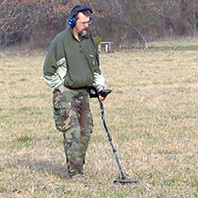 He has been an leader in encouraging best practices metal detecting in archaeological research. 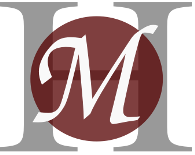 Chris is a co-founder and instructor of Advanced Metal Detecting for the Archaeologist. He has served as project manager on a number of projects utilizing GPR and magnetometer surveys, and has worked closely with specialized sub-consultants providing technical services such as pottery residue analysis. Since November of 2012, Chris has been Editor of the Society for Historical Archaeology’s publication, Technical Briefs. Jennifer Weber received a Masters degree in Anthropology, with a concentration in Archaeology from Georgia State University in 2010. She received a Bachelor in Anthropology from Kennnesaw State University and is currently pursuing a Ph.D. at the University of Bonn, Germany. 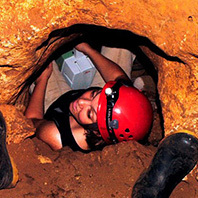 Jennifer has worked on numerous historical and pre-historical archaeological projects in the US, Canada, Germany, and Belize, where she has also been co-directing an archaeological fieldschool since 2010. Her research focus lies with computational analysis in archaeology. This includes quantitative analysis, mathematical modeling and the application of various spatial techniques like laser mapping, lidar and GIS. In Fall of 2012, Jennifer joined GADNR-HPD as the Forestry Staff Archaeologist, where she had been working as an intern for the previous 2.5 years. Shawn Patch, MA and RPA, is professional archaeologist with more than 16 years of supervisory experience. He holds an MA in anthropology from the University of Eastern New Mexico and a BA in anthropology from the University of North Carolina - Greensboro. Shawn directs the Geophysical Services Unit of New South Associates. 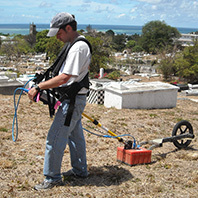 He has worked extensively with geophysical survey technologies, including ground penetrating radar and magnetometer, and their application to archaeology and he has directed some of the largest geophysical surveys completed in the eastern U.S.